EXTENDED EVENING APPOINTMENTS AVAILABLE ALTERNATE TUESDAY / WEDNESDAYS EVENINGS AT LOCHWINNOCH SURGERY FROM 17.30 - 18.30. Although these appointments are available to all our patients, we would like to accommodate those patients who are working outwith the village or those at risk of losing a days pay to attend an appointment. We would therefore request that you only ask for a late evening appointment if you cannot attend at any other time. Midwife - Friday 2.00pm – 4.00pm by Appointment. Every second Thursday 9.00am – 10.20am. Immunisations by appt. Telephone consultations are available daily at both sites. Lochwinnoch Surgery is open between 08:30 and 18:00. 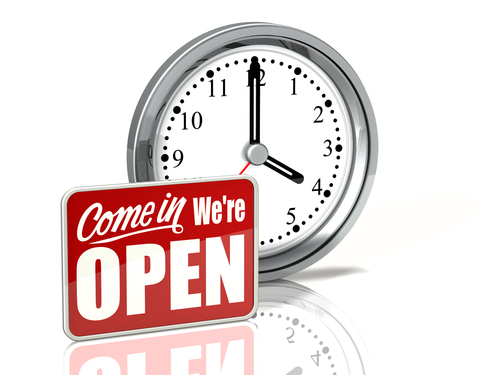 Beith Surgery is open between 08:30 and 18:00 except Tuesday when it closes at 13:00. From 13:00 - 18:00 emergency cover is provided from the main surgery in Lochwinnoch. Calls will be diverted automatically. During holiday periods, we may also close at 1 pm on Wednesday and Fridays - for further information see Beith Surgery Reception. Out of hours cover is now the responsibility of Greater Glasgow and Clyde Health Board.